Have you ever sat in the stand and watched a game of professional rugby and felt like you were in the wrong place? I have. 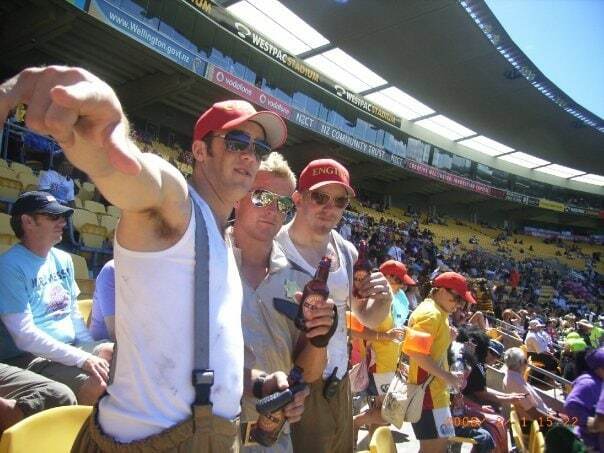 I was at the Wellington sevens in New Zealand dressed up as a fireman drinking beer. 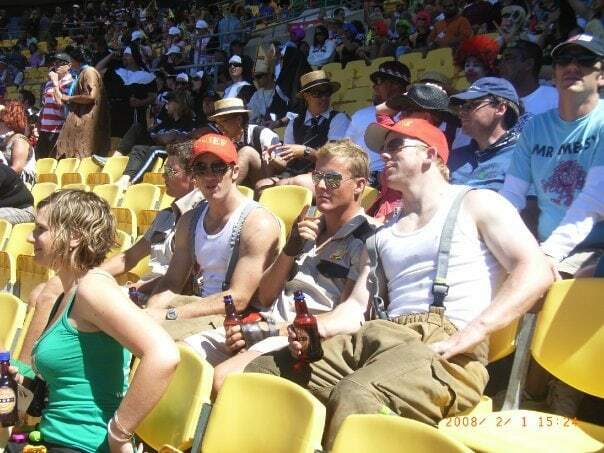 I was sitting in the stand at the Sevens thinking I was supposed to be down on the field. I desperately wanted to be the one throwing the pig skin around. 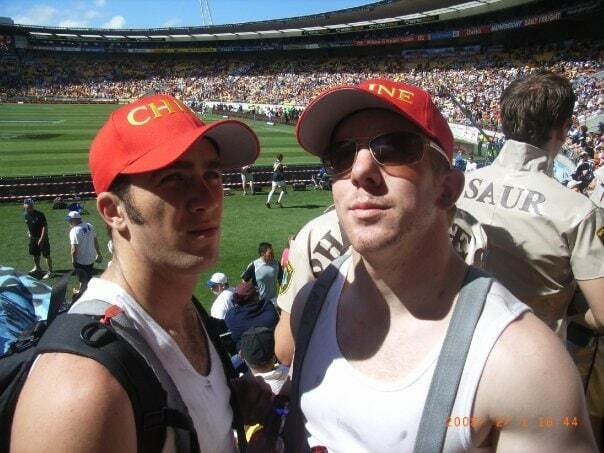 Back then the sevens was an awesome piss up don’t get me wrong but I wanted to play rugby at a professional level. 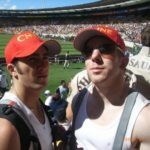 How can I make Rugby my dream job? Apart from play Rugby I had no idea what else I wanted to do.When people asked me what I was going to be or what I did for a job my mind would just go blank, my eyes would glaze over and I would be thinking about playing Rugby somewhere. Off-season, Pre-season & In-season programs on your phone. One thing I did know was that I didn’t want to drive a forklift and load containers for the rest of my life. 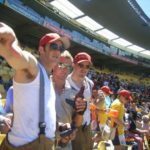 I must admit I enjoy a few beers with the boys as it helps with my mental health (Scientifically proven here so the one or two ladies that might read this post, it is true). There are studies out there that say it’s good for men to socialize with their mates but when it comes to reaching the next level in Rugby the drinking part of socializing has to be monitored and kept in check. Flash back to a few photos 2008- just a boy! The first thing I did was be brutally honest with myself and looked at my game. I asked myself the tough questions. What was I good at? What was I weak at? What do I need to improve on to be a World class player? I developed an idea of what I thought I needed in my game and then went to the people I respected and who I knew would give me an honest answer. I was prepared for some of their comments to hurt but knew that I needed to know if I was going to get better (something a lot of players do not do). I then took this information to the coaches of the representative teams I wanted to strive for and asked if I was on the right track or if there was anything specific they were looking for or knew what would help my game. Only once you have a clear idea and playbook for improvement you can focus in and achieve the success you deserve. Basic template below of what the professionals are doing to improve. WHAT IS MY VISION? WHAT MOTIVATES ME? Be brutally honest in each area (technical, tactical, physical etc.). This will assist you to identify what you want to work on. If you are not sure, of if you need some help, talk with key people e.g. Coaches, Wife, Parents, Team Management, Team mate. If you can not handle the feedback – get someone to do some stats on your game. (then it becomes about the data and the process rather than being too personal – good tip for future coaches out there). What are the key focus areas to be the best in my position? What is my focus for the next 12 months? Your Why – If you are to do one thing after reading this post. Think about your why. Why do you do what you do? Why do you want to become a professional? Or why do you want to play Rugby? 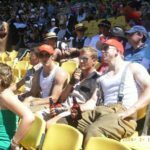 You might just be a beer drinker that happens to enjoy rugby? A lot of professional players (friends) have told me they often don’t know why yet they feel it. The feel something inside of them that is driving them. They feel the hunger, the want to train hard, they want to improve and they turn that hunger into action. 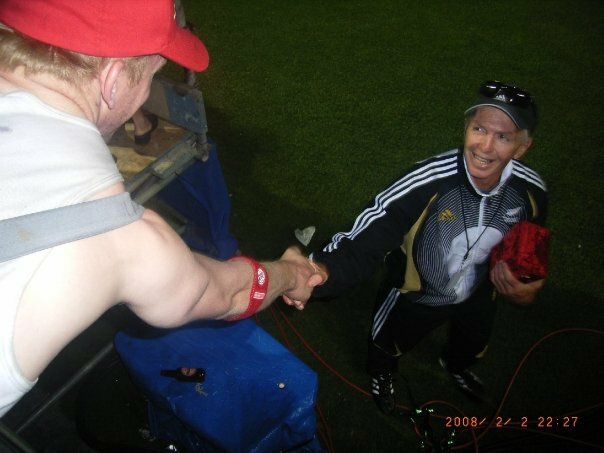 Nick McCashin is a former Bay of Plenty representative who has played professionally in England, France and Spain. Nick is currently playing and coaching in Scotland where he is writing and developing content to help players excel on and off the field. We design & manufacture premium nutritional supplements specifically for the rugby community. Our range of supplements can help professional and amateur rugby players alike to perform, recover and live better. The materials and information provided in this presentation, document and/or any other communication (“Communication”) from Ruck Science, LLC or any related entity or person (collectively “Ruck Science”) are strictly for informational purposes only and are not intended for use as diagnosis, prevention or treatment of a health problem or as a substitute for consulting a qualified medical professional. Some of the concepts presented herein may be theoretical. References to any non-Ruck Science entity, product, service, person or source of information in this or any other Communication should not be considered an endorsement, either direct or implied, by the host, presenter or distributor of the Communication. The host(s), presenter(s) and/or distributor(s) of this Communication are not responsible for the content of any non-Ruck Science internet pages referenced in the Communication. Ruck Science is not liable or responsible for any advice, course of treatment, diagnosis or any other information or services you chose to follow without consulting a qualified medical professional. Before starting any new diet and/or exercise program, always be sure to check with your qualified medical professional. For details of our affiliate program please see our Terms & Conditions.